DC Court of Appeals Recognizes "Equitable Adoption". By Antonoplos & Associates | 4 April, 2019 | no comments. On January 31, 2019, the District of Columbia joined the majority of states which recognize equitable adoption. The doctrine of equitable adoption legally acknowledges a parent-child relationship in the absence of formal adoption or blood relation. While the Court expressly declined to adopt a “doctrine,” its recognition of equitable adoption in this case is certainly significant. In the case of In re Estate of Rosa North Ford v. Raymond North-Bey, on appeal from the D.C. Superior Court, Probate Division, the D.C. Court of Appeals decided that D.C. Code Sec. 45-401 requires that equity be read into the laws of intestacy set forth in Title 19 of the D.C. Code, and that as a result, persons who can prove their status as the equitable “child” of the decedent will have standing in the probate administration of the decedent’s estate as an “interested person.” This will allow a person who can meet the evidentiary burden of proof to petition to open an estate as the “child” of the decedent, to have priority to serve as its personal representative, and to inherit under the laws of intestate succession. As a procedural matter, it will be interesting to see whether the Probate Court will amend its probate forms to reflect the rights of persons claiming to be the equitable child of the decedent, and how this will affect the petition process. By way of example, children of intestate decedents have equal priority under D.C. Code Sec. 20-303 to petition for appointment as the estate’s personal representative on an “abbreviated” basis, and there is often a race among such children to the Court to be the first-to-file. Will the Probate Court modify its intake process so that a person claiming to be an equitable child of the decedent is treated equally with a person claiming to be a natural child of the decedent? For instance, if the Court does not require a petitioner to provide proof of biological relationship at the time of filing, but on the other hand requires an evidentiary hearing for a petitioner to prove an equitable relationship prior to filing, will this constitute unequal application of the law to persons who may ultimately be deemed in equal degree of kinship to the decedent? Could this amount to a violation of the Equal Protection Clause? Further, how will this holding affect the obligations of petitioners seeking to be appointed personal representative of an estate? 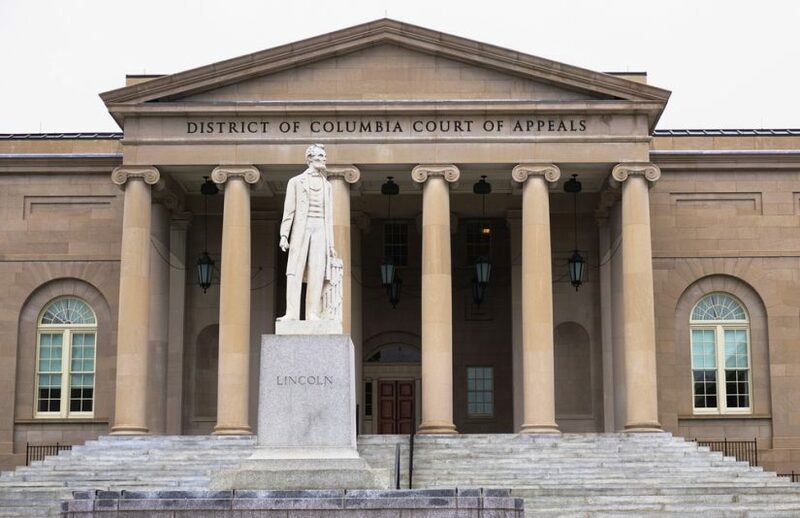 Will the petitioner have an affirmative duty to name possible non-biological and non-adoptive children as “interested persons?” In other words, could the omission of such persons constitute a “material misrepresentation” that would compel the removal of the personal representative under D.C. Code Sec. 20-526? Additional questions arise in other possible applications of this holding and its reasoning. For example, could this holding extend to testate administrations so that children proven by equitable adoption may assert rights as a pretermitted child of a decedent, or through an “afterborn child” provision in the Will? Also, how will the law treat a stepchild who can meet the criteria set forth in the opinion (housing as a minor, care, inclusion in the broader family), where the decedent coparented with the stepchild’s natural parent but never intended to adopt the stepchild or for the stepchild to be treated equally to his natural born children under the laws of intestacy? While the Court discussed its alignment with jurisdictions that seek to “focus on the decedent’s intent and examination of whether the claimant was functionally the decedent’s child,” the Court did not include the decedent’s particular intent in its delineation of discretionary criteria, and seems only to focus on the functional aspect of the relationship. What implications will this have from an estate planning perspective as families become increasingly blended and complex? Further, the Court’s holding does not expressly limit its extension to non-biological and non-adopted individuals. Does it therefore extend to biological relatives who are not children but were treated as children of a decedent? For example, will a biological grandchild raised by his grandparent be able to assert equal status and share as the natural children of that grandparent? Outside the probate context, should the Court’s application of equity per D.C. Code Sec. 45-401 extend to other statutes that recognize the parent-child relationship? For instance, if a person can prove an equitable parent-child relationship, should that person have the same tax exemptions available to natural and legally adopted children? Likewise, should an equitable child have standing in a wrongful death action? On the facts of this particular case, the Court gave the parent-child relationship legal recognition despite that it hadn’t been formalized under the laws of D.C. In doing so, the Court reached a compassionate result that pays tribute to the value of such a fundamental relationship to society. While the spirit of the holding is clear that the Court intended to provide a limited application of this doctrine and impose a high bar to claimants, we predict that enterprising claimants and attorneys may try to use this holding to reach well beyond the doors of the Probate Court, and that the limitations of this holding will soon be tested.